Quality servicing in Heywood at highly competitive rates. If you are still going to the dealer for car service in Heywood, despite the high costs and inconvenience, you are not alone. With many small garages, you can't really be sure about the quality. Although you are aware of cheaper options, the lack of trust prevents you from dealing with them. 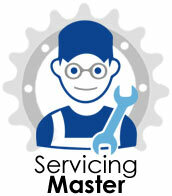 You can't be sure about the quality of service, the type of spares used or the expertise of the mechanics. Finding the best garage for car service in Heywood is not as difficult as you think. We can make things easy for you. When you use our service, you just fill and submit the online booking form on this page. Leave the garage search and negotiation part to us. We will assign your service request to one of the best garages in Heywood that specialises in your vehicle make. You are assured of high-quality service. The garage will contact you and you can tell them when and where you want your car picked up and dropped. You will also get the service cost upfront. The service team will contact you after your car arrives at the garage. They will discuss the nature of the service and any additional work that may be required. You don't have to worry about any unexpected extra charges. Additional work is only done after your approve the extra cost involved. All our routine services include car washing and cleaning. The garage will also stamp the service booklet, which will help you maintain your service history. Your car will be returned after service and you can settle the bill online using PayPal or your credit card. It's simple, no need to wait for days for an appointment and no need to visit the garage in person. Get a service that is as good as the main dealer without the hassle. We do all types of car and van servicing and repairs. 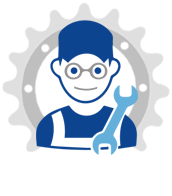 Our network garages provide a service that confirms with the one in the service schedule specified by the manufacturer. This could be a minor, interim or major service depending on the age of the car and the amount of usage. If you are due for an MOT test, we can perform it for you. The MOT certificate is mandatory in the UK and is proof that your car or van meets the minimum requirements to be roadworthy. The annual test involves basic maintenance checks, emission control and safety checks. As your vehicle ages, it may need repairs apart from regular servicing. Our garages perform all types of major and minor car and van repairs. Here are some repair jobs that we routinely undertake. Cleaning the diesel particulate filter: If you have a diesel vehicle, it has a diesel particulate filter. It filters soot and other particles from the vehicle exhaust and reduces emissions. Over time, the trapped soot accumulates, clogs the filter and prevents it from functioning well. It will then need cleaning. Steering and suspension: The steering and suspension of your car has to work well for good control, stability and comfort. With use, these components tend to wear out and may need repairs or replacement. Gearbox repairs: A malfunctioning gearbox results in a total breakdown or a frustrating driving experience. Gearbox repairs are sometimes complicated, but we have the expertise to do a good job. Other types of repairs such as cambelt change, brake repairs, clutch replacement, head gasket replacement and exhaust repairs are also performed at our network garages. We also offer the services of mobile mechanics to troubleshoot and fix minor problems on the road. 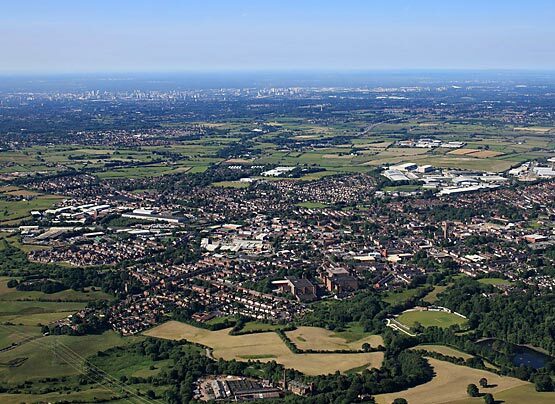 If you live in Heywood, you don't have to worry about car or van service. We give you a much better alternative to the expensive dealer garage. You will also avoid the hassle of finding and negotiating with a local garage. Just complete and submit the booking form and we will arrange the service for you. We assure high-quality service at competitive rates. Don't wait. Book your service now.